Consumers want three primary things in a website layout: functionality, accessibility, and artistry. According to Adobe, 39% of internet users stop engaging if they encounter pages that load slowly, and 38% will leave if it is not aesthetically pleasing. The data suggest that you will lose one-third of your revenue potential before even seeing what you offer. 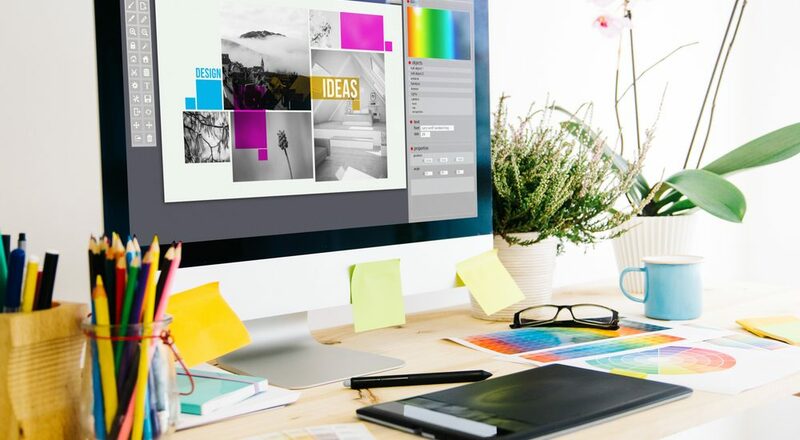 If you are getting ready to start a business or establish an online presence, here are seven reasons to hire an expert graphic designer. Whether you are a business professional or an entrepreneur, marketing is an essential element that requires graphics to attract clients. Whether you lack the time or the experience, you will need someone who will produce a professional product that will enhance your business’s reputation. Graphic designers serve every industry because of the needs for logos, website layouts, and images of product and services. Designers also take the time to help select color schemes, fonts, and graphics that represent your business’s objectives. Consistency is critical in e-commerce. Using the same style, logo, design, fonts, and messaging are vital so that clients or customers recognize your brand. You also want to appear professional to set a standard for your business procedures. When users like the appearance of your pages, they will more than likely return. Did you know that consumers engage with graphics 84% more than text which contributes to 49% more sales? While you might not know about these trends, a graphic designer will. Revenue validates the expense because of ROI potential. A design concept is not easy to accomplish. Allowing a creative designer to do this leg of the work for you will give you more time to complete other matters like production or distribution which will also be time-consuming as well. Who better to call for additional needs than the company who designed your layout or logo? Businesses often require other services like customized graphics, social media imagery, layout design, POS materials, sell sheets, and audio and video content creation. Establishing a relationship with a reputable company gives you peace of mind that someone is available when needed. A graphic designer is the best option for creating a blend of beauty and style. It only takes seconds for clients and customers to establish if they like your graphics or not. Visitors want pages that load quickly, are user-friendly, and easy to navigate. That said, a layout must balance so that pages flow flawlessly. Frogman Media Group’s graphic designers produce beautifully designed, fully functional layouts that enable you to engage with your clients or customers. If you need logos or customized graphics, we will assist you with that, too! Contact us for more information.